The Canon team has admirable work ethics. Not only are they proactive and professional, they display patience and empathy when explaining to our administrative personnel who have no technical background. The quality of their services is as good as the quality of their products. MIS Group of NEC Taiwan Ltd. Established in 1982 as the first foreign operation, NEC Taiwan leads the industry with top-notch IT solutions, electronic equipment and communication systems. Guided by its values on embracing challenges, creativity, and teamwork, the organisation provides professional and innovative ICT integration services for the government, manufacturing and retail industries. Notable achievements include the third-generation POS system for Uni-president convenience stores and its work together with government agencies to construct submarine cable earthquake and tsunami monitoring systems. NEC Taiwan had been instrumental in improving competitiveness among Taiwanese industries and improving people’s lives, in- country and around the world. As global industries become increasingly advanced, the bar continues to rise when it comes to clients’ expectations. Faster turnaround time, real-time data retrieval and streamlined work processes are what differentiate the mediocre from industry leaders. 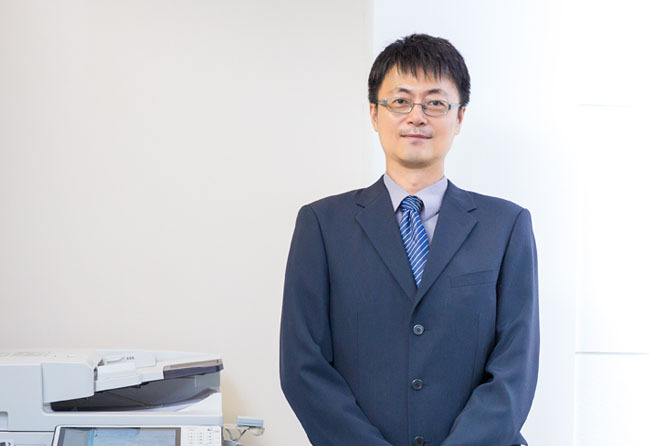 At NEC Taiwan, a growing amount of data is being processed digitally in its daily operations. The organisation had come to a point where they recognise the need to continuously evolve to uphold its excellence in workflow efficiency and information security. Servicing a list of high-profile clients, NEC Taiwan aims to strike a delicate balance between information accessibility and security. Employees need to be able to access project details and other related information anywhere at any time to keep up with their clients’ growing demand for shorter turnaround time. This convenience needs to be well-guarded from unauthorised access and confidentiality breach by way of data leakage prevention. NEC Taiwan understands the importance of optimising workflows to improve workplace productivity. Solutions implemented has to be compatible with and easily integrated into their existing systems. As with any corporate transformation, the Management also understands that changes in work processes will inevitably be received with a certain amount of apprehension. It is imperative that any changeover be well-supported by a team of capable and dedicated personnel. When it comes to evaluating solutions for enhancing daily operations, NEC Taiwan believes that excellent functionality, quality and speed take precedence. Canon imageRUNNER ADVANCE third generation multifunction devices coupled with uniFLOW print management solution fit the bill perfectly. By speeding up document processing time whilst ensuring information security with user authentication, the organisation sees an overall improvement in workflow efficiency. While enabling great information accessibility crucial in day-to-day operations, the implementation of uniFLOW helps NEC Taiwan to safeguard trade secrets, key technologies and other confidential information that it is entrusted with. Print jobs are held centrally and released only when employees authenticate themselves at the device, preventing potential information leakage. Additionally, the encryption function of the multifunction devices maintains data confidentiality while information is being processed. uniFLOW is easily integrated into NEC Taiwan’s existing administrative systems and access controls, keeping disruption to a minimum and protecting its other long-term investments. For instance, authorised employees are able to access the multifunction devices and release confidential print jobs simply via their existing corporate access cards. The solution is also flexible enough to accord temporary access to short-term users such as partners’ technicians. On the backend, uniFLOW generates print usage information such as the detailed breakdown of print volume by each specific user. The data is compiled and channeled into the organisation’s internal database for further analysis, determining the cost incurred by each project or department. Careful control and resource redeployment allowed NEC Taiwan to lower operating costs by 30%. Moving forward, the Management is looking to integrate the third generation multifunction devices with the organisation’s email system to enhance document management efficiency and simplify its IT system structure. NEC Taiwan is particularly impressed by the passionate and proactive maintenance services provided by the Canon technical team. Apart from the routine replacement of consumables and periodic maintenance of the devices, Canon’s team responds swiftly and efficiently to unforeseeable situations.